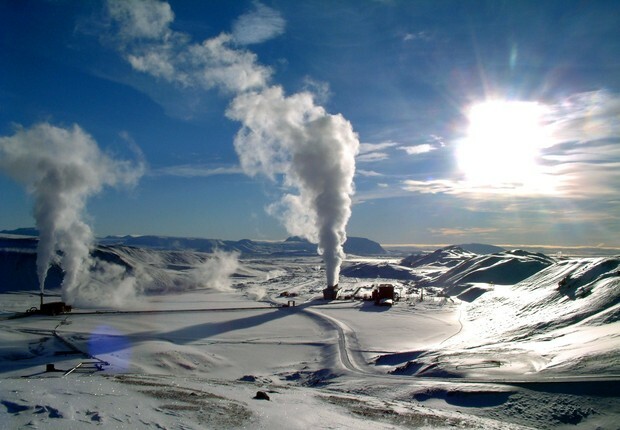 Geothermal energy is thermal energy from the earth. About 10 feet underneath the Earth's surface, it is 50-60 degrees. It is used to heat and cool buildings. The parts included in an energy plant are a heat pump, ductwork-an air delivery system, and a system of pipes under the ground near the building. In warm weather, the heat pump transfers heat from the indoor air to the heat exchanger where the warm and cool air are switched. The warm heat that is removed is a clean, free source of hot water. At cooler times during the winter, the heat pump swallows heat from the exchanger and and pumps it into the delivery system which allows warmer temperatures inside. Some energy plants use steam from reservoirs to generate power. Other plants use hot water to boil a certain and working fluid that vaporizes, causing the turbine to generate electricity. Hot water close to the Earth's surface is used as a heat source. Uses for the heat that are direct include heating buildings, plants in greenhouses, drying crops, heating water at fish farms, and other industrial processes. A few downsides to this electricity are the use of water. If the whole world was transferred to geothermal energy, we could have a short water supply, which is never good. Also, it takes up some space which is not always easy to get. Though there faults to this power, I believe that it is the best thing that could be installed in Beachlea. Where is it being installed? Who is going to use it? 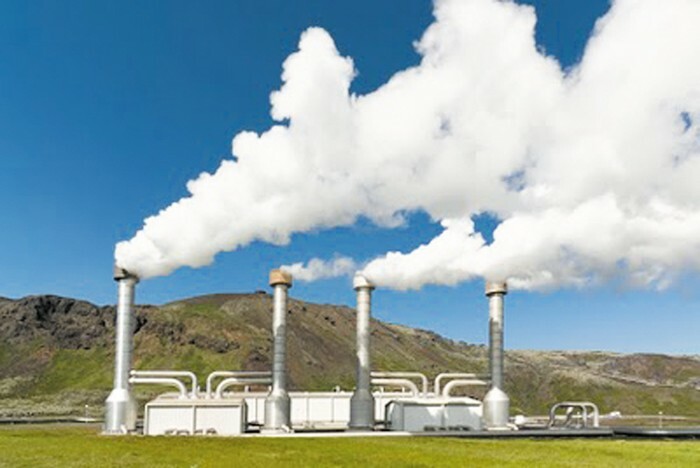 Geothermal energy is a renewable resource and comes from the ground. The town council has decided that it is going to be installed in is Beachlea. Beachlea is on the West Coast, near Monterey, California. This is a perfect spot because of the warm weather to support the heat of the geothermal energy. The people of Beachlea is who it is going to be delivered to. They will benefit by this type of energy because they live in the perfect spot for it. This is great for the townspeople because they get hot water left over from what isn't used in the electricity process. Also, they get a renewable resource for heat and air conditioning. Why is it being put into Beachlea? When is it being placed in? Beachlea contains all the needed resources such as water, heat, and empty land because it is such a new town. It also has been needing a new resource for power so the town council decided to step in to help this town. Though geothermal energy has it's faults, there are easy ways to work through them. 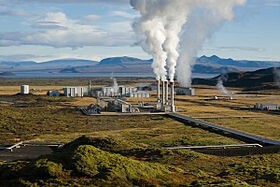 This also benefits the new scientists of this town who wanted to see how geothermal energy works. The builders are taking advantage of this new town and are using it well. The town is getting a new renovation for the geothermal energy plant to fit within the next month. We hope to get more details on this exciting event and wish the townspeople of Beachlea good luck using their new energy. See next issue for more details on this big event!